The results of orthogonal test show that the shape and size of the cut strip have the greatest influence on the quality of the finished product, and the cross-sectional area of the French fries is too small. Under the same conditions, the frying temperature is too high and the product color is deep. 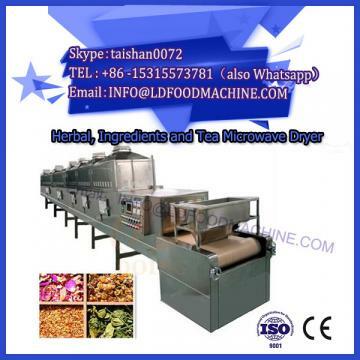 The French fries are dry and hard, some products appear to be fry, the oil temperature is too low, some products are not deep-fried, it is difficult to achieve the purpose of dehydration by frying at the specified time, the tissue is not crisp; the oil temperature is higher, The faster the grease deteriorates, the higher the viscosity of the oil and the more difficult it is to flow. 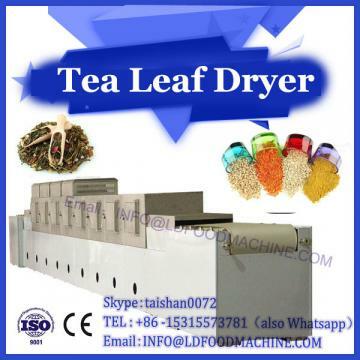 In addition, different frying temperatures and times also have a certain effect on the oil content of the product. The higher the frying temperature, the longer the time, the higher the oil content of the product; if the cross-sectional area of the fries is too large, at the specified time The internal moisture of the inner French fries cannot be fully discharged and the product quality is not met. At this time, if the frying temperature is increased or the frying time is prolonged, the frying oil will oxidize and discolor under high temperature conditions, which will affect the appearance of the product, and also increase the The necessary energy consumption; vacuum negative pressure also has a greater impact on the quality of the fried, because it is directly related to the crispness of the product, affecting the final quality of the product. The results show that when the vacuum negative pressure is increased to -0.808 to -0.090 MPa, the product quality improvement is not obvious. Considering various factors, the vacuum negative pressure parameter is set to -0.775 to -0.080. It is more appropriate when MPa. The best combination of factors can be determined by orthogonal experiment to be A3 B2C2D4. The effect of vacuum deoiling process on the quality of finished products. Under normal circumstances, the fat content of fried potato chips is very high. The excessive oil content directly affects the color and taste of the product, and shortens the shelf life of the product. Therefore, the potato chips are fried. After de-oiling treatment, it is necessary to reduce the oil content of the product. The deoiling method uses a vacuum deoiling method, and does not leave the vacuum state during deoiling. The effect of vacuum deoiling depends mainly on two factors: one is the length of deoiling time, and the other is the speed of the centrifuge. According to the effect of centrifuge speed and deoiling time on the oil content of the product, the test results show that with the extension of deoiling time, the oil content of the product decreases, but the breakage rate of the finished product is improved; when the centrifuge speed is high At 700r/min, the downward trend of the oil content of French fries slowed down significantly. When the rotational speed was ≥800 r/min, the oil content of the French fries remained basically unchanged, while the breakage rate of the French fries increased significantly. If the deoiling time exceeded ≥ At 5 min, the breakage rate of the finished product will also increase significantly. Based on the above two considerations, the centrifuge speed is selected to be 500 r/min and the deoiling time is 3 min. In addition, the film covering technique can reduce the oil content of the fried product to some extent. It is coated with a layer of colloidal material on the surface of the raw material to form a barrier layer of oil penetration during frying, thereby reducing the oil absorption rate of the fried product. The gums that can be used for the film are modified starch, modified cellulose, gelatin, pectin, dextran, xanthan gum and non-toxic high molecular polymers, such as polyvinylpyrrolidone, carbopol and polyoxyethylene. Wait. In order to achieve better results, the gel film must be able to smoothly penetrate the moisture in the French fries tissue during oil frying, and effectively prevent the oil from penetrating into the French fries. Therefore, the oil content and crispness of the final finished product depend to a large extent on the physicochemical properties of these colloidal films. The film covering technology is convenient in operation and does not require additional equipment investment. It is currently used by some manufacturers, but how to coordinate in the actual application can smoothly penetrate the moisture in the raw material tissue and effectively prevent excessive oil from penetrating into the raw material. The issue of organization still needs further research. Sensory indicators. Color: light orange or white with a slight yellow color; taste and smell: with the unique taste and air of the potato, no smell, crisp taste, imported slag; tissue morphology: loose tissue, uniform shape, damage rate ≤ 5.